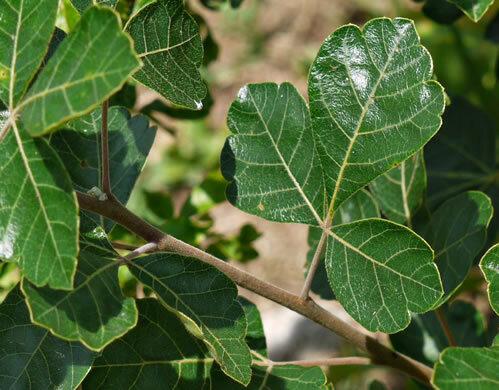 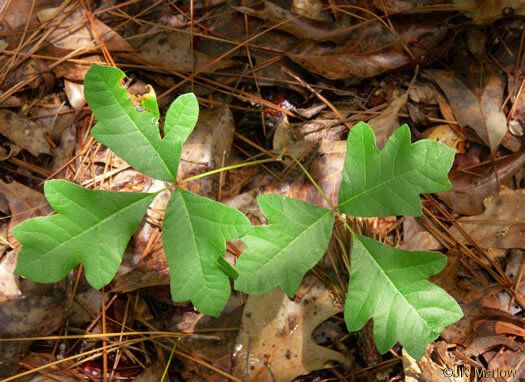 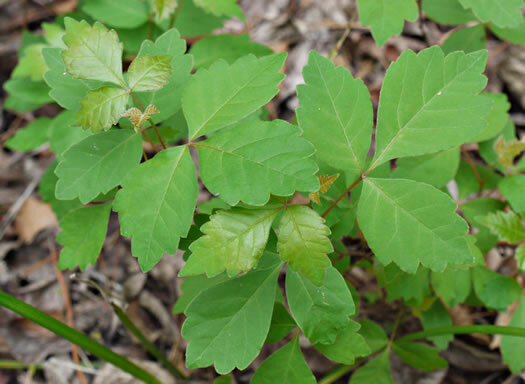 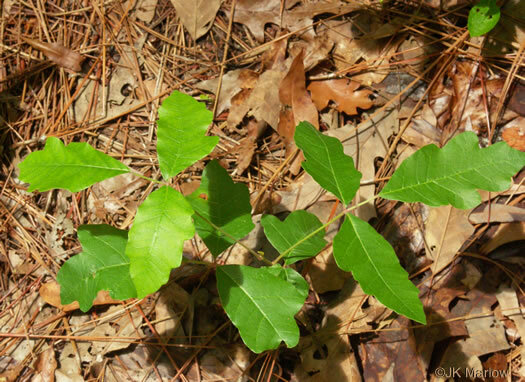 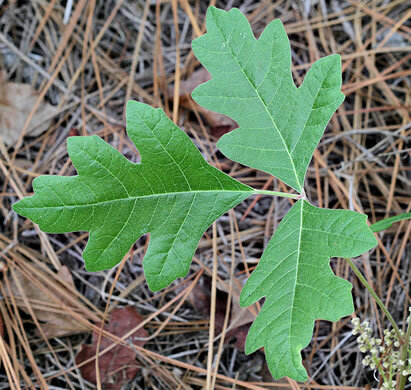 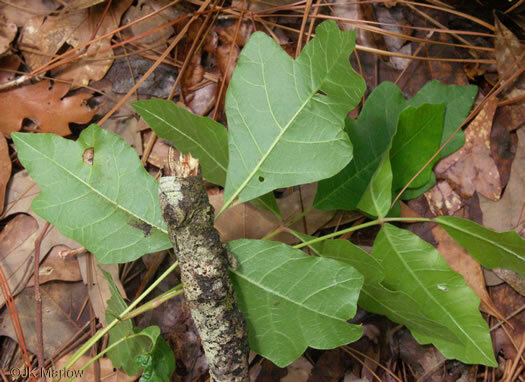 Your search found 14 image(s) of Fragrant Sumac and Poison Oak. 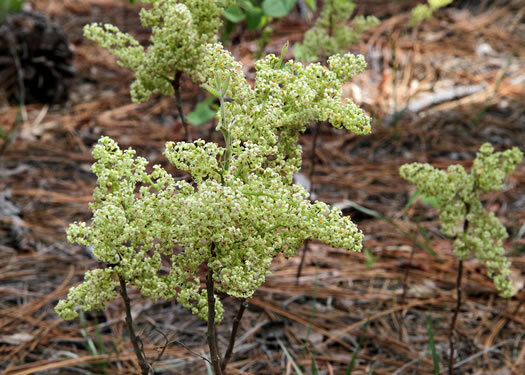 Flowers greenish-white in dense panicles, per Native Shrubs and Woody Vines of the Southeast. 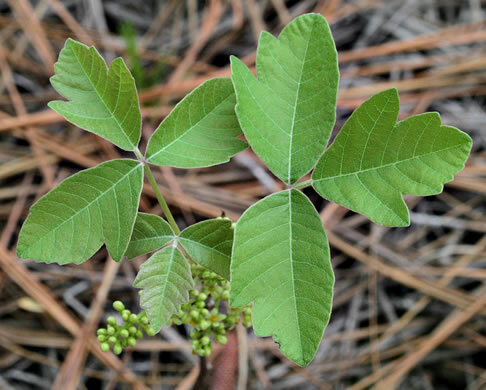 Petiolules of Toxicodendron's terminal leaflets much longer than laterals', per www.carolinanature.com. 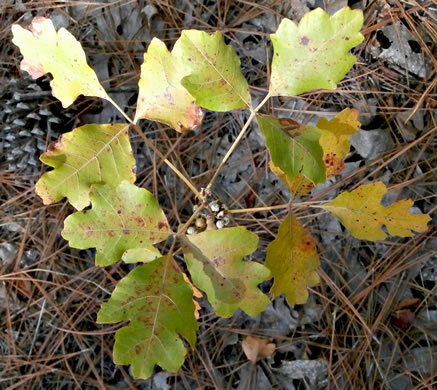 Leaves dull above (not shiny), per Wildflowers of the Sandhills Region. 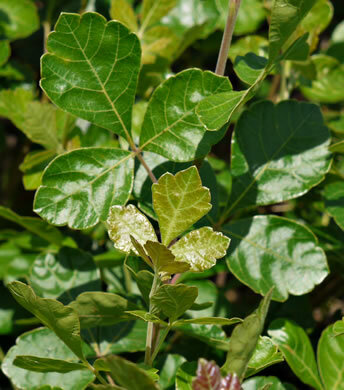 Leaflet lower surfaces velvety puberulent, sometimes becoming glabrate in age, per Weakley's Flora. 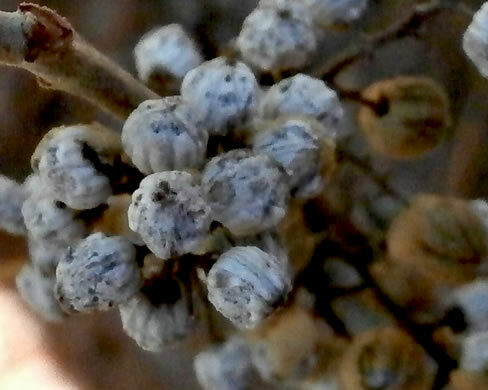 Drupe densely hairy, 6-8mm wide, per Forest Plants of the Southeast and Their Wildlife Uses. 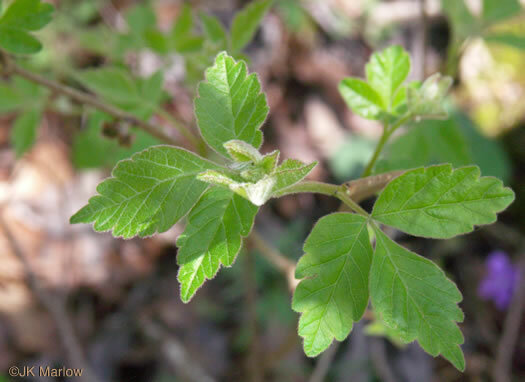 Straggly, upright, rounded shrub, 1'-7' tall, not poisonous, per Wildflowers of Tennessee. 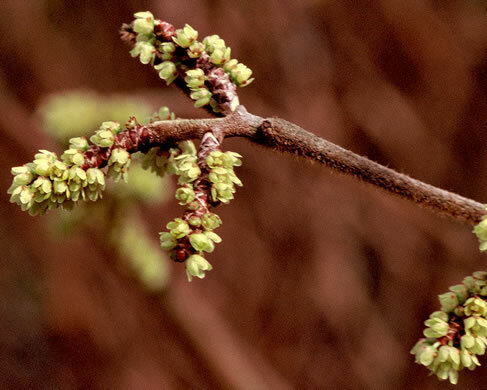 Short dense catkin-like clusters open before or during leaf expansion, per Forest Plants of the Southeast and Their Wildlife Uses. 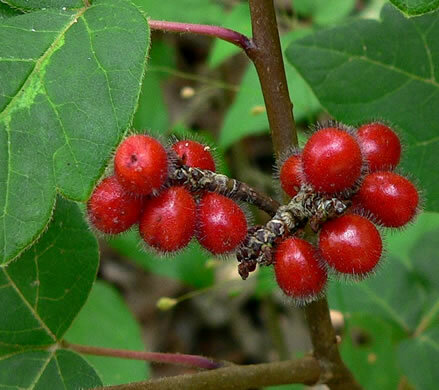 Fruits roundish, very hairy, bright red, and quite conspicuous, per Wildflowers of Tennessee.